The last 2 months have been kinda crazy. After my last day at Microsoft, I started jobhunting right away, jobhunting new style that is – using my blog, Twitter, LinkedIn, … and every other network that could help me spread the word. Interestingly enough it all became a bit of an experiment along the way as well, like when I introduced the #hirefriday tag, but nevertheless still a rather unpleasant reality of being unemployed during a crisis. Lucky enough for me things paid off rather quickly and 5-6 weeks after my last day at Microsoft I started working again. 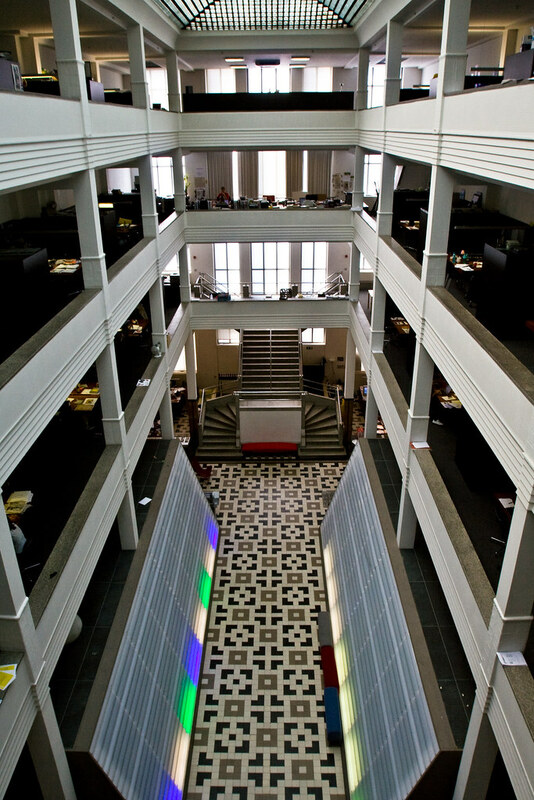 My new home is Duval Guillaume, an idea-centric communications agency with offices in Antwerp and Brussels. Since 3 weeks you can find me in the Brussels office (photo below) as the new head of strategy there. But more on what I’m doing there in future blogposts. A lot of people have been very helpful during all those weeks and I’m very thankful for that. I realize I have been pretty silent on this blog during most of that time but we’ll be going to a more regular rhythm again soon. First I need to change a few things here, for one I should really get that self hosting thing going (yeah I know it’s not the first time I talk about this). all the luck at DG! They did a very smart thing hiring you imho, and head of strategy is right up yer alley! Toffe boîte met toffe mensen, veel succes aldaar! I got laid off too Kris. Well maybe it’s not the same, since I only worked pretty much part time, and a sandwich sub shop isn’t that major, but it feels pretty sad to me too. They might as well say I’m fired. If only I knew it was coming up, I’d push myself to the extreme to stay in. It was like the best job I could get for myself, and I lost it because of slow business, and a few mistakes. Sigh. Good to see you’re back in business at least. Great. Enjoy your new challenge.